Are you working with a tube laser? Are you processing more than round and rectangular pipes? Are the standard cases in your NC software not sufficient? 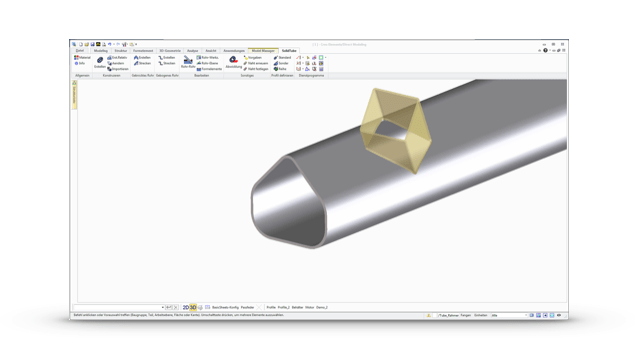 With SolidTube, you create 3D models quickly and easily, regardless of whether they are simple models with 2 pipes or complex frame structures made of hundreds of pipes. Subsequently you can edit the pipe intersections suitable for laser processing with the editing functions of SolidTube and transfer the manufacturing data to the control system of your tube laser processing center. During laser cutting of pipes, the laser beam is always vertical to the surface of the pipe which is rotated and moved in the processing center. Due to this cutting condition it is impossible to place pipes easily with correct orientation and cut them together. It rather must be checked for each point of the cut whether the interior or exterior contour is crucial for that section. This frequently results in complex cutouts and processing for the pipe intersections. 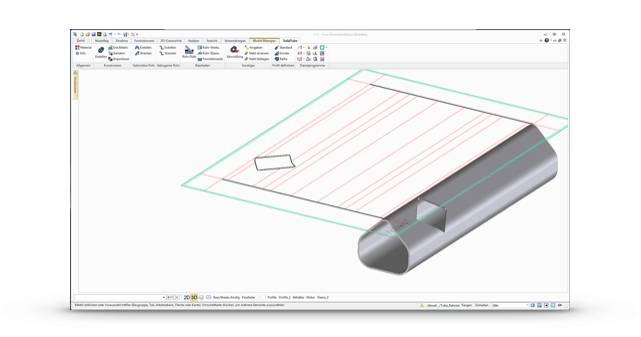 SolidTube simulates this processing type and creates realistic pipe intersections in which the cut surfaces are always vertical to the pipe surface. The basis of SolidTube is a pipe database that can be expanded without limits. SolidTube knows round pipes, square and rectangular pipes, elliptical and any shaped pipes. There are additional special functions available for creating and stretching kinked pipes. After editing, the unfoldings of the pipes are created automatically and can be passed to your tube processing center for manufacturing. SolidTube can also handle pipe structures of external suppliers. 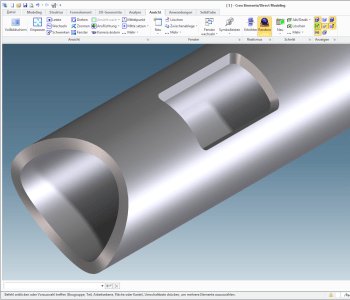 Load 3D models via one of the Standard Modeling interfaces, import pipes as SolidTube pipes and edit them as usual with SolidTube - done! Data is transferred to the production machines by unfoldings of laser-like processed pipes. 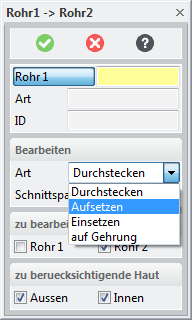 SolidTube offers several data formats for this, e.g. MI for Trumpf machines or DXF, or NXF for machines of other manufacturers. The unfoldings are controlled with different parameters at that. The precision of the unfolding can e.g. 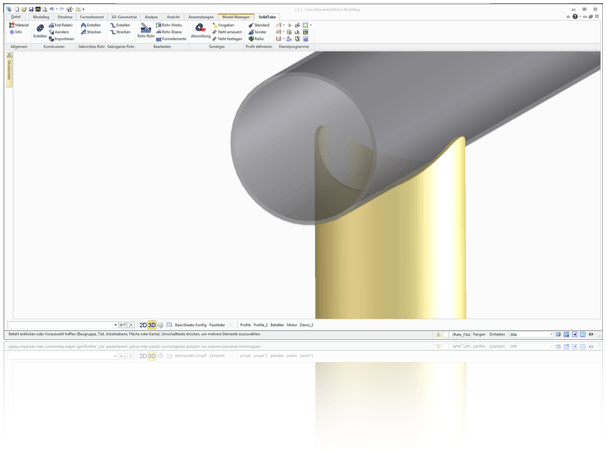 be defined with the raw dimension or the position at which the pipe is splitted for the unfolding can be defined with the seam position.